The Committee Europe is based on the idea of bringing together students of all kinds of school from as many as possible European countries for a mutual cultural exchange, to eliminate prejudices and to stabilize the idea of a European citizenship. This is carried out in common work, following given topics and personal meeting of students and teachers during school events of sports, music, linguistic, cultural and/or scientific themes. A special objective is the integration of disabled children in all sorts of work. 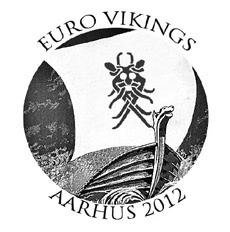 In 2012 EuroViking is going to take place in Aarhus, Denmark in a joint venture program between Behandlingshjemmet Bögholt, a social institution with children dealing with difficult social backgrounds, Solbjergskolen and Vestergaardsskolen, both public schools from Kindergarden to 9th/10th grade, VIA University College, Teachers College, Aarhus and Moesgård Museum, Aarhus. The event is from June 6th, day of arrival, till Sunday 10th, day of departure. 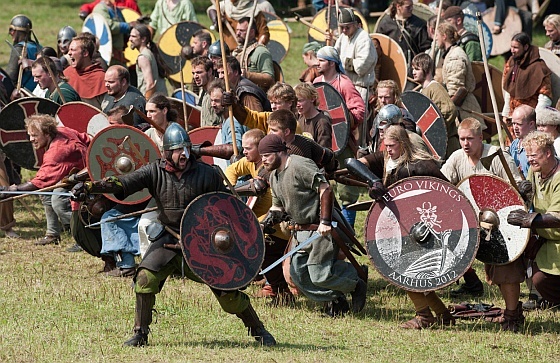 The overall subject is history starting with the Viking Age with the aim of finding out what brings us together in a common past and find answers towards what Europe looks like today. We would like to thank everyone, who contributed and has made an effort for the benefit of this common European Event. Also we are proud, that the organizing team has done an excellent work together to make this event come true. 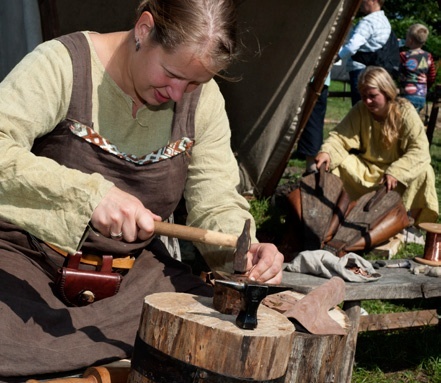 parents at Vestergaardsskolen having a great Viking Party, 10.00 - 14.00. 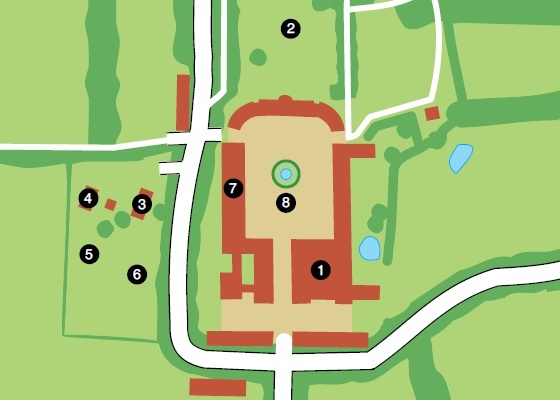 On the 7th and 8th of June activities have been arranged at Moesgård Museum. Moesgård Museum is housed in the Moesgård manor, a late 18th Century mansion set in a lovely landscape of park, forest, open fields and the beach a mere fifteen minutes’ drive from the vibrant city life of Aarhus. 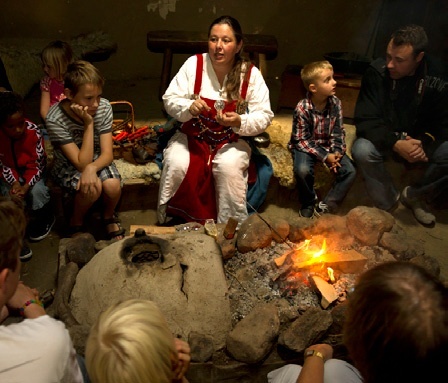 At the museum the children will be divided into seven different groups, and each of these groups will participate in seven different Viking activities during the day. Each one of these activities will last 45 minutes, and there will be a period of 15 minutes between activities. 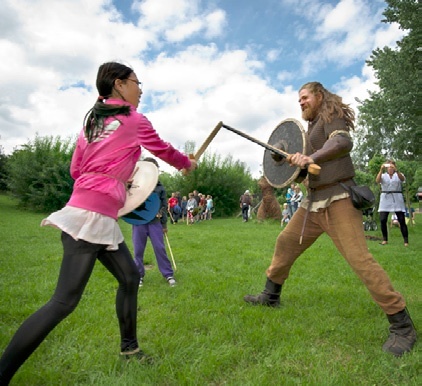 These activities all take place at the museum grounds and they include Viking battle practice, Viking-age archery, Viking cooking, Viking games and other exciting and educational experiences. gathers the groups and takes them to their designated starting activity.